Lilac Swatches Tunic Dress is so cute! I like the Adventurer theme. I really like The Eco Edit boutique theme. My favorite show is a pop of prep. Cute stuff! love that gold/white chip bowl! I like the Pop of Prep! I love a pop of prep. I really like the Butare Bengal. I love the prep theme, and the white space… and the adventurer, too! I love it all! Love love love the MAROC X BODY CHAIN!! It’s hard to choose! I love so many of the items, especially the jewelry and the rompers. If I HAD to pick, I’s say the Loose + Luxe collection is my fav! Fingers crossed! The adventurer. That pretty much describes my whole mentality, though motherhood has added a dash of caution in my travels. But not in my style! I am falling in love with this company! It’s a hard choice, but I think my favorite is the Loose and Luxe theme. I love the Pembe Nyeupe pendant. It reminds me of Diana Vreeland. I love the Pop of Prep! I love the Kolbasti Scarf. I like A Pop of Prep theme! Paradise Found is my favorite. I like the Pop of Prep theme! I love the Kips Whip Tote, I’ve been looking for one just like it. Plus it’s made in Kenya, where I’ve been – and miss! I like the summer shop! Perfect for right now in Florida! Oh my gosh I love this! And such pretty pieces too! I can’t even pick a theme! I’m totally torn between The Summer Shop, The Adventurer and The Eco Edit. So glad you introduced me to this! I like the bags, especially the Kips Whip North South Tote. In love with Loose + Luxe and Want Need Love Now. This is a gorgeous site; thanks for sharing! I love the Eco Edit! I love the summer boutique–especially the Eshe Necklace! I like a pop of prep. I like the travel theme. My favorite item on their site is the TEAVY POCKET CARDIGAN. It would be perfect for work. A Pop of Prep (of course)! I love the Eco Edit boutique!! Paradise Found: The Summer Shop! Reminds me that I need to plan a vacation!! Love it all!! Love “White Space” – my absolute favorite! Plus, that gold glazed chip n dip? To die for! And I love the alpaca throws…they look so cozy! Oh my gosh, I love everything! Those travel journals are my fave! Great giveaway, Gloria! Keeping my fingers crossed! How lovely it is to discover this company – and this giveaway together! 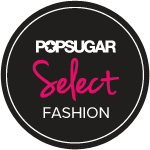 I’m totally and completely drawn to the A Pop of Prep Boutique! How sweet? The Ange Djellabah dress is beautiful. So many pretty items! I love the A Pop of Prep theme! i kind of like the idea of being “the adventurer” but … i think i’m liking the “a pop of prep” collection! So hard to choose. What I need is a better purse than I have. I’m thinking the dark leather foldover clutch would be nice or just try not to find something small and carry everything in the Caracas tote. Both are in The Eco Edit. The Adventurer is my go-to boutique for this wanderluster! Yay! And I love their mandate. Wish more companies were like this. And I’m definitely diggin’ the Adventurer theme. Feeling the wanderlust this time of year. Darn! Wish I were in one of those countries. :) Thanks for introducing though. Ever since my bf went very green, I find myself always looking at the labels to see where things are made and looking more often for locally made goods. Excited to check out these products! I love the track shorts!! I really appreciate the mission of Accompany— thank you so much for sharing! I think my favorite theme is The Adventurer— so many amazing pieces. My favorite theme was A Pop of Prep. What a lovely site! I’m a snacker, so I have to say that my favorite item is the chip ‘n dip! I love the entire porcelain and gold series! What a great company. I really love the Elise Clutch! Wow they do carry some wonderful things, when the time comes to decorate my condo I will have to book make this! I love the adventurer theme. In particular, the little koala figurine! amazingness! seriously i’m going nuts over their bags and also the men’s section, but i do love the pegged trousers! Pop of Prep is a lot of fun! Of the boutiques, I like a pop of prep. I also really like the daryl shirt and the philanthropist briefcase. Love their company mission! Whoops, I was supposed to pick a boutique not an item. I like A Pop of Prep. I love the Garden Top! I love the Madeline tote! I really like White Space! Thanks for the chance to win.